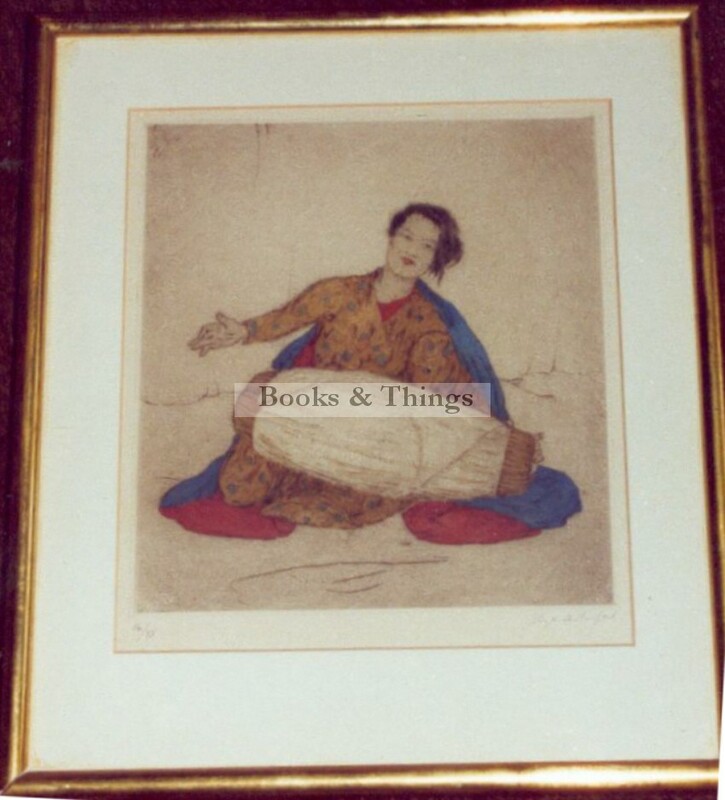 Elyse Lord: Coloured etching of oriental drummer. 28.5 x 26cms (11.5 x 10.25 inches) image area. Framed & glazed. No.14 of 75 copies, signed by the artist. Category: Miscellaneous. Tags: Elyse lord colour etching, Elyse Lord print.